I want to tell you about one of my favorite restaurants: 1950 American Diner, which is in Pontedera. I really love this restaurant because it’s like a dive into the past. The owner says: “The American dream has become reality”. And quite that. 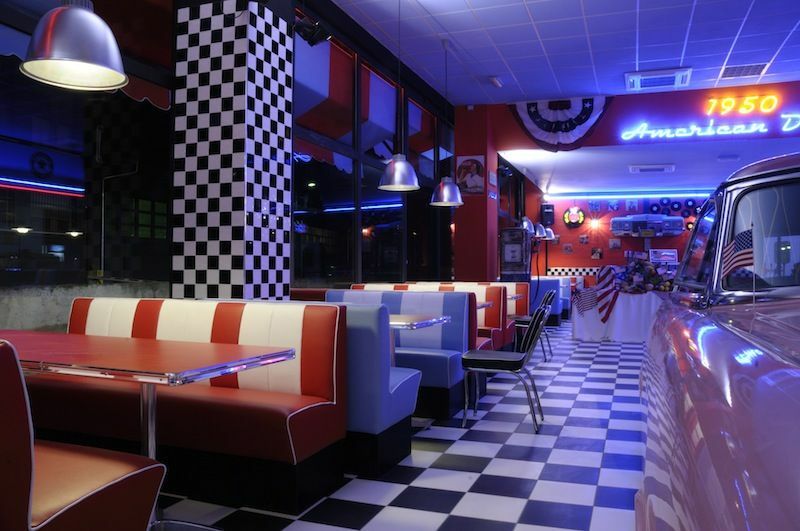 As soon as you enter the front door you feel in the 50s thanks to the typical sofas, the checkered floor, the music transmitted by the jukebox and waitresses in uniform and on roller skates. Let alone the Lincoln parked outside: one of the most famous cars of the era. Even the menu is the time: starting from onion’s rings, maxi hamburgers, donuts and milkshakes. It is not even very expensive as a restaurant and being really welcoming you can spend a lot of time there with your family or your friends.